Your ERP is probably anything but dead, but is it hurting your business? Gartner first described integrated systems that encompassed the capability of Material Requirements Planning, Integrated manufacturing, finance, human resources and plant maintenance in a single integrated a solution as Enterprise Resource Planning (ERP) in 1990. In the twenty plus years that have passed since then, there have been attempts to re-moniker these kinds of systems, but without a great deal of success. Those who’ve worked with these leviathan solutions still use the term to describe our favorite system whether it be SAP, DYNAMICS AX, ORACLE or one of the many others that have survived the tempestuous seas of software acquisitions and mergers. A few were beached or wrecked in a most spectacular fashion like Baan and there have even been a few free or open source versions that have a following. More recently, cloud based or software-as-a-service providers like NetSuite have come up as contenders for the much coveted and highly profitable role in the enterprise software space of ‘key system of record’. In the end, the core fundamentals of the ERP remain the same – harmonized master data, integrated transaction processing and a relatively tight set of integration technologies that ensure that those working at one end of the business are using, creating and changing system data that can be used and equally maintained in other areas of the business. Prior to the implementation of ERP, business units would have standalone solutions that were built for very specific purposes to service those business units and their unique needs in relation to the business operations as a whole. 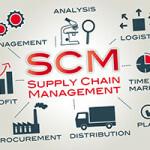 To some extent those fiefdoms of technology may still exist, particularly in the manufacturing execution or point of sale realms, but efforts have often been made to create at least bridges between those solutions and bring the key account and processing data in aggregate back to the core ERP solution. The emergence of the tablet and the increased power of smart phones have brought different pressures to bear on the central ERP model. Since the arrival of the Apple iPhone and iPad there has been an explosion in interest from all types of business users demanding access to ERP functions and data. This has of course pushed IT departments and owners of ERP solutions to position themselves appropriately with technology stacks that facilitate remote access, access to new and innovative ways to access processing functions and more importantly, achieve this in a secure and reliable way. Despite the presence of a rich and flexible platform for development and customization, many businesses seem to have challenges in dealing with their existing ERP solutions. Some even now refer to their core ERP environment as their “legacy” ERP solution despite having no real target alternative solution for core integrated master data and transactional processing activities. 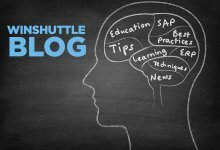 Products like Winshuttle Foundation, enable owners of core ERP solutions to embrace the world of ERP and also integrate with the more contemporary versions of various other technologies like SharePoint in a unique way relative to some of the more familiar options often presented by ERP vendors. Integration models are largely driven by User Interface and User Experience modeling which is fundamentally different to the predominantly highly technical approach used by IT. The latter approach is admittedly very robust, proven and resilient, but unfortunately is often fraught with complexity and a more detailed understanding of the technology infrastructure than the functional requirements of the configured application relative to a given user’s use of the application. 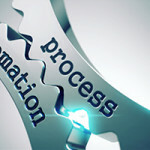 Prerequisite technical approaches to integration often lead to missed optimization opportunities and inefficient business processes as business users skirt around the core system to maintain and create data instead of using more functionally advanced approaches to creating and maintaining data quality and optimizing business processes. Business process monitoring software is often implemented as a knee jerk reaction to keep track of the state of identified business hot spots or troublesome areas like web shopping carts, EDI and crucial synchronous or asynchronous interfaces that the business depends upon. However, the implementation of business process improvement or business process optimization technologies requires more than a technical understanding of technology to be effectively implemented. More importantly, BPI and BPO requires a good functional understanding of the existing technology stack’s usability, the way business users use it, and the importance of certain data in relation to other data, processes and the way the business works as a whole. Microsoft Excel is much maligned as being the place where many business users keep track of important business data that should be in the core ERP solution. More detailed analysis of the answers to the ‘why’ reveal that there is often limited or overly complicated configuration in the core ERP to cope with what-if or scenario-based data manipulation. A rigorously controlled ERP experience, whether it be on-premise or cloud-based, will have very clear expectations about how data should be entered, who should enter it and what checks and balances need to be in place in order for the data to clear certain gates and then progress to the next participant in the process. A given ERP solution may not be configured or even capable of meeting the exact requirements that the business feels is appropriate. One pre-ERP system that I worked with in the early 1990’s required progress payments on projects from customers. From a purely operational stand point the purpose of the progress payments was threefold. To minimize economic risk, to force the project delivery team to report on the economic value added during the lifecycle of the project and to ease cash flow. Billing for progress payments was done on a standalone computer program whose whole purpose was to produce an official looking invoice. From an accounting standpoint, projects were not run as projects, they were run as sales. The sale was actually only concluded in the month of the final payment. In order to avoid projects spanning multiple financial posting years, projects had to be broken into sub projects so that sales and billing could fall into one or the other financial year. Progress payments were accounted for in a special ledger account specifically for handling progress payments in much the way that one accrues for unsettled and un-invoiced goods receipts. The point of this small example is to demonstrate that the actual business practice relative to the back office solutions and the actual accounting activity were not clearly aligned – although nothing ever got lost, transitioning staff or a mishap in the record keeping process could have occurred and in a higher transactional velocity setting things could have gone horribly awry. This is one of those situations where Excel and data that is not in your core ERP system become part of the total story. You could argue that the ERP should be appropriately configured and customized to accommodate these kinds of scenarios and I would largely agree however the cost and benefit associated with the customization relative to the significance and statistical incidence of such scenarios sometimes doesn’t make it appropriate to accommodate such flexibility. A business for example, that largely engages in small discrete engineering projects that are billed on a per job basis which can normally be turned around in a couple of days may not see value in investing in a more complex project based planning and billing model. Similarly, a manufacturer or wholesale distributor or even retailer for that matter that engages in a joint venture or a contract relationship with another business entity may not see value in incorporating joint-venture accounting practices into their core ERP system for what is essentially a one-off or experimental business activity. Core ERP for your system of record doesn’t necessarily mean infinite flexibility, what it should be bringing is infinitely repeatable, consistent accounting and information recording, planning, billing and standardized back and front office processes. An inability to accommodate experiments, augment tasks and incrementally add functionality is probably the biggest progress inhibitors for your business’ back office functions to keep up with innovation in the business. In reality, if your executive leadership wants to engage in a joint venture or build up a new line of business or engage in contract manufacturing, they will. The ERP and back office will not hold operational business from doing what it needs to. An inflexible back office technology stack will however introduce uncertainty, irregularities in accounting and an inordinate amount of stress on the back office as they try to cope with a back office technology that is not aligned with the actual activities of the business. In such circumstances custom solutions, Excel spread sheets and manual and semi manual business activities become prevalent. 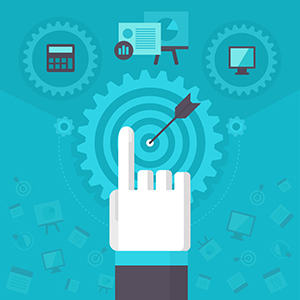 In order to mitigate the risk of transcription and data quality errors the interim approach to accommodate these and other kinds of change in the business, business process optimization solution stacks like Winshuttle Foundation allow you to build custom workflows, web forms and user interaction experiences on SharePoint outside of core ERP. All the while, you can manipulate, consider and configure your ERP solution to be more closely aligned with the final business activity but still keep up with the tsunami of data that this new or different business activity is generating. Baker, Stephen; Menno Spiro, Steve Hamm (2000-08-14). “The Fall of Baan (int’l edition)”. BusinessWeek. The McGraw-Hill Companies Inc.